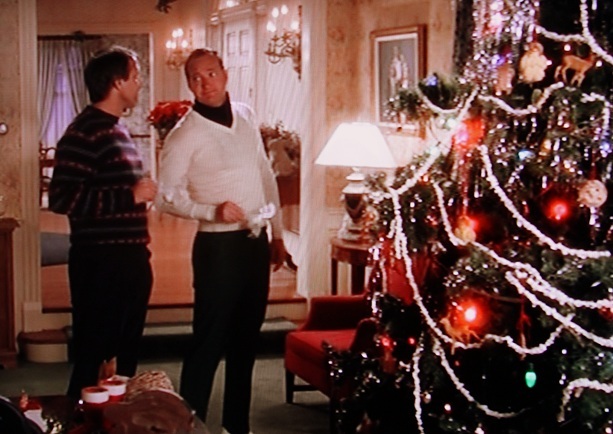 It's tradition in our household to watch Clark Griswold force a cheerful, "old-fashioned family Christmas" every December (black turtleneck dickies optional :-). I've always liked their cozy, typical movie house too. A few other favorites this time of year: the family stone, elf, home alone, the holiday, a christmas carol, & while you were sleeping. Any other suggestions? it's taken me 29 years to watch anything other than 'a christmas story' in preparation for christmas. we're a loyal family. but i've branched out. i didn't go home last year, so i spent christmas eve by myself watching 'love, actually'. and it was perfect. My new favorites are White Christmas and the Desk Set with Katherine Hepburn -- love discovering old movies!! The Family Stone is one of my all time favs and next on my list! I LOVE Christmas Vacation and A Christmas Story. Home Alone ain't bad, either! Last year we watched Scrooged, which I had never seen before. It was entertaining but not my favorite. i need to bust out my christmas movie collection. home alone is a definite favorite but they're all so good. elf is very quote-able so you gotta love that one too! I always like to watch Love Actually on Christmas eve with the hubs.